Alex Toys provides children with quality creative products to help them create and use their imagination through art and various crafts. We got to review the Little Hands Clay Pictures. The set came with 8 colors of clay that never dry out, three 3-D pictures, 3 picture frames and 3 printed background cards. 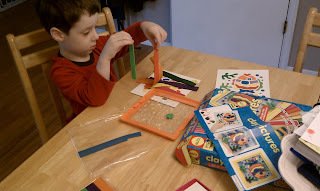 You set up the card behind the picture frame, background card and plastic tray, then you copy the pattern with the correct color of clay in the tray. My son loved all of the bright colored clay and we had fun creating the pattern, the fish was our favorite! This was a fun project and taught my son about patterns and helped him with his fine motor skills. I did have to help him a bit more than I thought I would have to because it said ages 3 and up, but it was still a great art project for us. I love that I can find great places like Alex Toys to find the supplies we need for the types of activities I know my son did while he was in daycare. We can have creative learning at home and I get to be the one to enjoy his finished masterpieces. I look forward to watching him become more of an artist and when his little brother can join in. Alex Toys are a quality product and we are definitely going to be purchasing more art supplies and crafts from them in the future! The have everything from art supplies, bath toys, craft products, beads and jewelery making, as well as products for babies! Lots of great things to check out for sure! 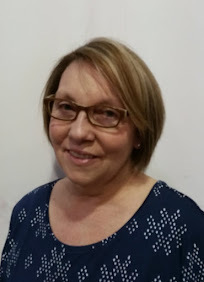 "We started ALEX in 1986 with a line of high quality basic arts and crafts products for children. Over the years, ALEX has grown and today produces over 1,000 items in expanded categories of toys: imaginative and dramatic play, fashion and jewelry, whimsical children’s furniture, Rub A Dub® and Tub Tunes® bath toys, ALEX Little Hands® preschool products and ALEX Jr.®, developmental, plush and bath toys for baby! Our attention to quality and design has not gone unnoticed. Many ALEX products have received the most prestigious honors in the industry including over 300 awards from toy review organizations and leading consumer magazines. ALEX products are currently sold in over 80 countries worldwide in the upscale specialty market through a myriad of retail stores, catalogs and websites." 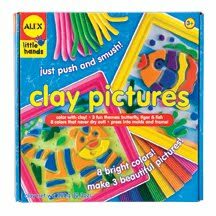 For our Moms Leaving the Workforce Event ALEX Toys has generously offered one of our lucky readers the chance to win Little Hands Clay Pictures. *Limited to US residents; 18 years old and above. Giveaway starts March 24 , 2011 and ends on April 3, 2011 at midnight PST. Winner will be emailed and has 48 hours to respond before another winner is selected. I was not paid for this giveaway or post. I was provided for free the item in the pictures for this review. I am an Alex Toys fb fan as Arianah Watts. 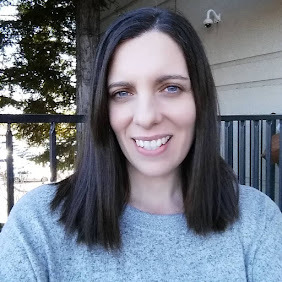 "Liked" on FB as Rhiannon Ellis. Follow Alex Toys on Twitter. Entered the other Alex Toys giveaway. Entered Chalkboard tee giveaway (2). Entered Crafty Mama Book and Brain Quest giveaway.